What makes you stand out in your business? Let's face it, there's someone else who can do what you do, cheaper and possibly better than you can; maybe faster as well. In todays' market, focussing on what you do is like painting your entire business beige and asking someone to find it in a sandstorm. Worse yet, it's also inviting you to compete on PRICE. We focus on how you add VALUE for your clients at a reasonable price. 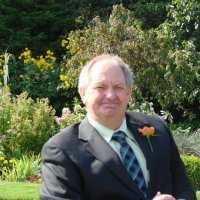 Tony Dormer is a dynamic amazing leader in Accounting, running Kreston Dormers in Sydney and being actively involved in the NSW Chamber of Commerce as well as a director on many NFP boards. Emma articulated his story on LinkedIn in a way that he never thought possible. See Case Study 1 below to see how we articulated the story of Tony's real passions in life. From zero sales to a 500% return on their copy in just ONE week, by writing John's story we snowballed sales for his new Doxie Watch brand ... and now he is making thousands of $$ every week. See Case Study 2 for an example of our copywriting and some feedback. From 1 -2 enquiries per month, VicBeam is now receiving the exact client they want every week, resulting in tens of thousands in new projects following their digital strategy, SEO and copywriting overhaul. See Case Study 3 to see how this client was 'blown away' with the results. The reality is, every business has differentiators, and often it takes an expert to be able to say exactly HOW you add value. That's our key difference, we identify your unique value so that you are NOT competing on price. That's exactly what we do, fast, efficiently and guaranteed. Just click below to call or email your needs and let us know how we can serve you. Why Use a Digital Copywriter? Digital Copywriting (Williamstown) is the key differentiator in creating more engagement through a better 'value proposition' for brands that are consequently very successful, such as Vicbeam, Rose & Coy, Doxie Watches. We have done this through personal stories, that show not what they do, so much as how great the people are and the values of the business, while creating SEO, CTA and 'ideal client' friendly copy that clearly makes it easy for the potential client to take action. If you've read enough (and let's face it, a conversation is what you need to know if we can work together) call or email. We work as strategists to get you found and create a brand that breaks the 7 second barrier, so that when someone lands on your website, they stay instead of getting bored within seconds. 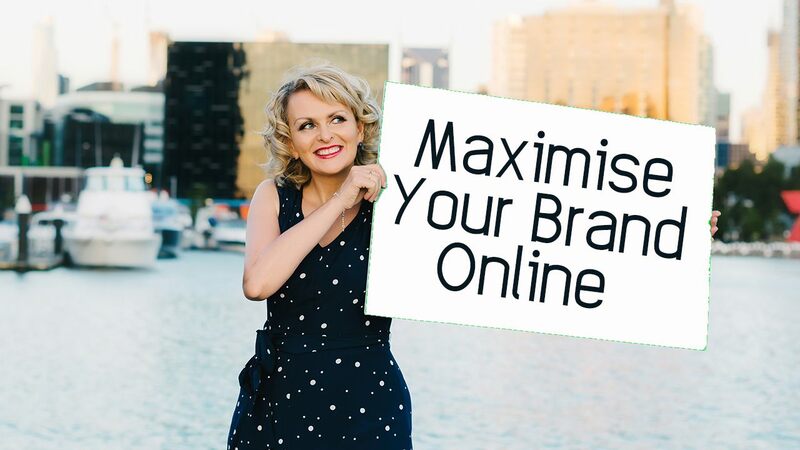 It's the engagement with your personalised brand that brings better connection online and creates the phone call or the email or buying impulse ... combined with SEO and a CTA or call to action. We understand this, with Emma Sidney creating her own #1 Google ranking on dozens of platforms over the last 2 decades. Australia's only Digital Copywriting Agency is relatively new we have already made it into the first page of Google, so we can help you do that too! We create beautiful, functional stories and strategies for your online presence, across all platforms, that enhance and maximise your brand, your visibility and your credibility online. How Digital Copywriting creates effective content. Personal improvement is key to my life and I believe that one’s individual development, both in business and in their personal life, aligns towards more highly successful outcomes and personal happiness. This belief system is carried through in the way I help my clients. I am committed to making them profitable and successful, and in turn able to lead a more balanced and fulfilled life. I do this by separating personal wealth creation and business strategies so they have a plan for sustainable growth and future happiness in both areas of their life. I have a strong interest in not-for-profit activities and giving back to the community and the business world through my several not for profit appointments. As Managing Director and founder of Kreston Dormers I have helped over 500 businesses with strategic advice and guidance to achieve successful outcomes in financial crises, mergers, growth strategies and issues around cash flow, people, profitability and tax compliance. 50% of those businesses over the last 40 years are still clients. I am the Immediate Past President of NSW Business Chamber. I have served the organisation first as a Financial expert, then as a Director and a Board member, for over 7 years. In this time the Chamber went from a $50 million annual turnover to $200 million, our membership base grew from 5,000 to 20,000, and our services expanded dramatically to provide a multi-discipline advisory approach to help each and every member. We thank Tony for endorsing us and referring us to several clients and business partners since we first discussed his social media strategy. Here's the story that we wrote for Doxie that gives them thousands in sales combined with their social media lead generation. My name is John Rose, I have been a watch designer for 15 years and have had the pleasure of working with some of the world’s largest watch brands. The Doxie watch is my creation. Besides watches, my other love is for my family; my wife, Julie, son Harry, and our two furry, short-legged bundles of fun and energy, Sophie and Ella. I have been in the watch business for many years and I understand marketing very well. What Emma of Digital Copywriting does so much better than I ever could is to find that exact phrase, the perfect words, to take my information to a level that is so much more engaging. I've engaged her on my next brand as well and will continue to use her services everytime I need the perfect outcome. VicBeam didn't realise what gems of information they had in their history in Hong Kong, or that employing people with disabilities intentionally was a vital part of their unique beauty. Here's some of our copy from their about page. In 2003 we realised that suppliers were failing their customers, not taking on the harder projects in laminated timber beams – there was a niche ready to be filled. Andrew Wallace seized the opportunity as he had already been creating glulam works in Australia since the 80s, well ahead of the popularity we now see for the product. While erecting glulam structures internationally, Andrew created a ‘can do’ attitude and a culture of strong constant innovation. Sons Joshua, Caleb and Tim have joined Andrew to make this a family values business. Andrew worked on many major projects, including a pivotal one-year project in Hong Kong. The Royal Hong Kong Jockey Club (1991) took over a year at which time Andrew and his family relocated to Hong Kong where his expertise was required for several years. Andrew fondly remembers… “Ex pats didn’t work on the tools, they usually ran the project, so us working alongside Chinese labour as ‘white ghosts’ was a novelty. When a new contractor came on site their work was consecrated through burning incense, making sure the gods would smile upon the project. When we arrived on site 20 labourers were needed to move the volumes of timber around, in a confined environment – there was a dire lack of space, nowhere to store the beams, something I’d never seen before. All the local Chinese workers wanted to arm-wrestle us because we were moving such large timber beams, something that they had never seen before. We constructed a series of 9 roofs with the main one over the swimming pool. The largest span was 50 meters, octagonal with a 10-meter lantern light post on top. We used 1200 mm x 280mm deep beams, some assembled with a crane tower, but they were so heavy we sometimes needed 3 cranes to lift the beams into position. 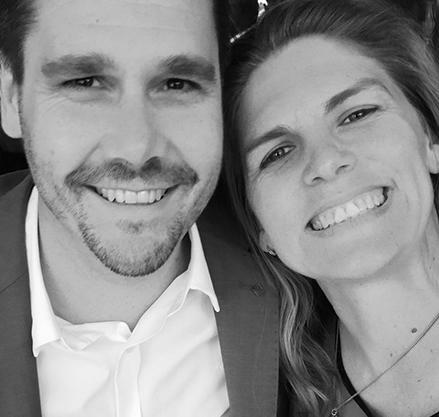 "The level of enquiry that Shane and I have received now has been just mind-blowing. Initially we were getting 1-2 enquiries per month, which we thought was pretty good. Now we receive 2-3 new leads per week often on big projects, which is just excellent for us. We are getting that broad enquiry from architects and engineers that we weren't getting before using your services, which was pinpointed in the strategy and rewrite. SEO has been very much a part of this success and even today at lunchtime we were saying that the work on the website is just priceless." About Digital Copywriting: "The content was professionally written and in the short amount of time we spent together you got a very good grasp of our company and how we want to be portrayed. Your ability to take what we wanted to say and interpret it onto the page was absolutely excellent. We consider content, the journey the person takes to the check out but also the integrity of the site and the other aspects that impact being found and engagement online. This takes your content into the realm of digital strategy. Build Your Brand from Scratch? Getting your website right isn't always enough. There's integration to consider, with your mailing list, your social sites and it all takes a fair bit of time and energy to understand and implement. We offer a complete DONE FOR YOU service as if you had a digital strategist on team full time. We project manage, complete the work, ensure quality and guarantee a great outcome. We can also train you or your team to be more effective! Our service covers 7 strategic areas of content and branding creation. We are a complete digital agency, utilising the best in local and overseas teams to fit all budgets, fast, efficiently and guaranteed. Click below to call or email your needs and let us know how we can serve you.